Simply put – we want you and your website visitors to experience your website, as it was designed to be experienced. It should look and function the same, regardless of the device or browser that is being used to view it. A visitor that arrives at your website that gets a less an optimum experience is very likely to leave and we don’t want that happening. We want to maximise traffic and time on site so that your business benefits from a happy visitor, not scare them away or have them leave in frustration. Along with full testing by the Developer and independent testing by our Lead Developer through the development phase, an independent QA Controller also conducts a meticulous 50 point testing and review process at the completion of the website development phase and immediately prior to launch. This includes exhaustive testing for cross browser consistency, cross device testing, page speed testing, HTML and CSS validation, as well as a full functionality and layout check. Our rule of thumb for browser testing, to ensure your website displays correctly across all, is ‘current version minus one’ but in practice we still carry out testing on very old versions of Internet Explorer (IE) - right back to IE9 in fact. Microsoft’s most current browser is Microsoft Edge which was released this year with Windows 10 - so we are actually testing ‘current minus four’ in IE! "Why?" You may well ask. Well, each time a new operating system (OS) is released by Microsoft, a new browser comes as default with that OS. Each OS has a certain market share and so we consider that when deciding if we will still support a particular version of IE in our QC process. Microsoft itself ended support for Windows XP in April 2014. Although the global market share for Windows XP is relatively high, the majority of that belongs to China (they apparently have 200 million users still on XP!) and for most of our clients China is not their geographic target market. 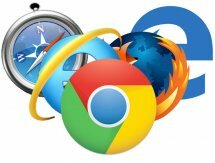 IE8 is a notoriously unforgiving browser given its age and a lot of current development techniques simply don't work and many, many hacks need to be done to get a website displaying correctly. Sensibly the Pareto principle came in to play. We'd rather be spending our time on our forward looking/future proofing approach to web development rather than developing hacks for really old technology. Plus, now that Microsoft have given XP the 'end of life' badge, if you or your customers are still on Windows XP we strongly suggest you consider upgrading your software and see how websites should look - you'll wonder why you hadn't done it sooner. We will continue to build for and test websites in IE9 and 10 for the time being. It will take some time for pre Windows 10 users to upgrade to the latest IE browser so we’ll keep an eye on market share statistics and make a call on our continued support at a later date. Note: Windows 10 users are unaffected by this announcement as the default browser for this system is Microsoft Edge which is a completely new browser and quite separate from the Internet Explorer browsers. Plus IE 11 will still be supported on the Windows 10 OS. 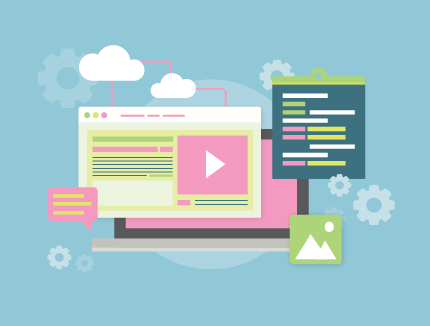 This post will hopefully give you some insight into the robust nature of our build and QC process and the lengths we go to to ensure your website displays consistently across all of the major browsers. I mentioned above that our approach differentiates us from other web development companies; some of our competitors will only build for and test websites in the most current versions of web browsers and some will even display a notification on your website to say something along the lines of “Website best viewed in Chrome or IE11 or above”. We don’t cut corners like that because you can never be sure (particularly in this multi device world) which browsers or operating systems your customers use. We make sure we cover all bases so that your website looks great for everyone. Next month I’ll be talking about the range of devices we build for and test websites in – from desktop to tablet to mobile. Stay tuned. Disclaimer: Browser stats are notoriously difficult to obtain due to the way that different sources interpret the data and calculate the stats plus the popularity of browsers differs quite significantly by country. There are also biases when it comes to desktop vs. mobile data. I’ve offered my best efforts to give global statistics based on research from sitepont.com, gs.statcounter.com, netmarketshare.com and w3counter.com and this information is offered as a general insight into why we at Apex build for and test our websites in particular browsers. For further indepth information about how Browser Market share is calculated you might like to read these posts: How Browser Market Share is Calculated and NetMarketShare vs. StatCounter - Whose Online Measurements Can YouTrust?